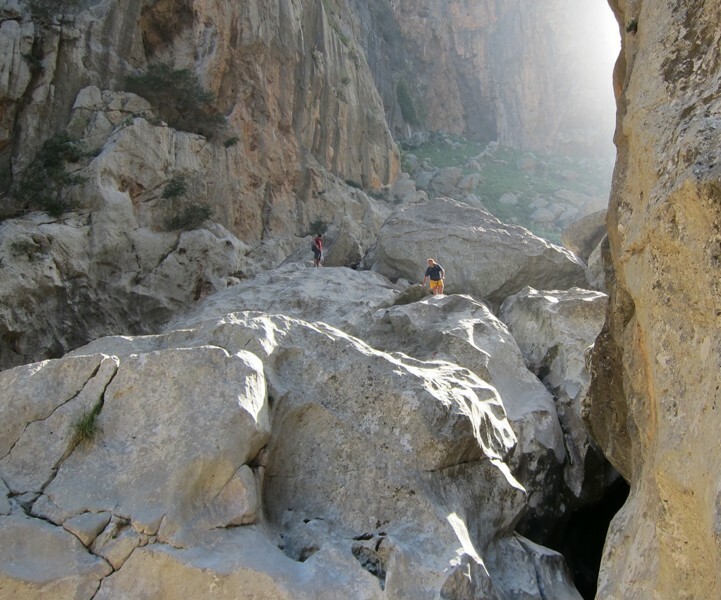 Mallorca is a paradise for walkers. 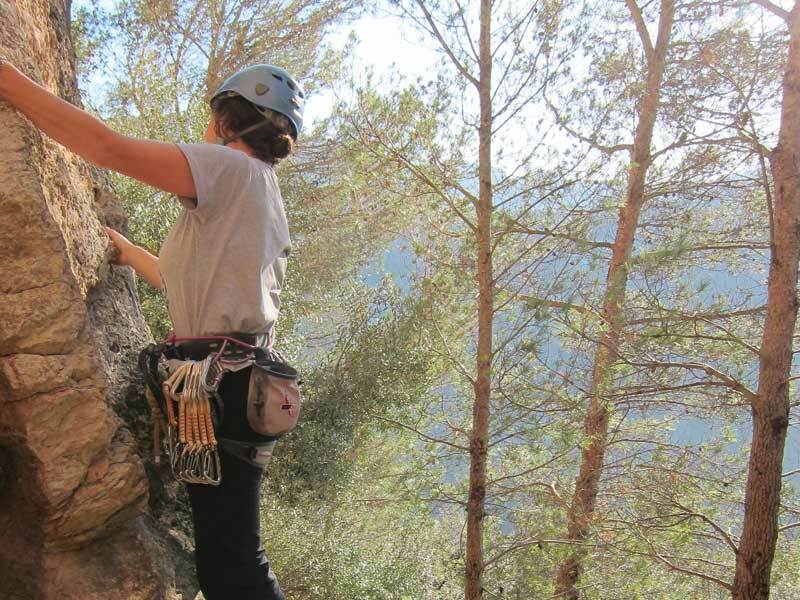 Our experienced walking guides, living and working in Mallorca, are available for private group bookings. We can suggest stunning walks to suit all levels. Contact us for availability and prices of tours. Galatzo is the highest mountain in the south west of the island with its summit at 1027m. It is the easily identifiable pyramid shaped peak seen from the vicinity of Andratx and the south west coast. Its stands alone and therefore the entire hike commands outstanding views of the south of the island. For most people this is an achievable mountain summit rewarding the walkers with splendid distant views and impressive rock scenery. Height gained is between 500m and 850m depending on route choice and can be arranged as a linear shorter route or a circular mountain day. 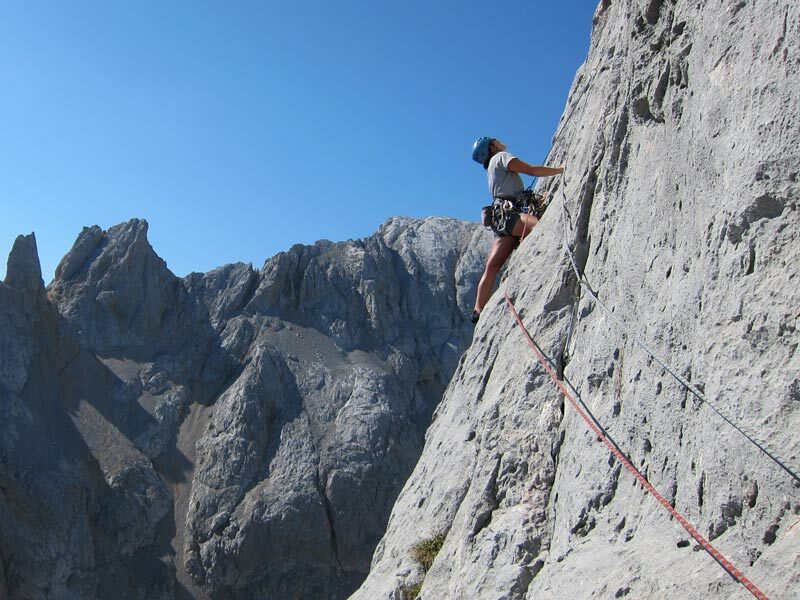 Warning: Conditions in the mountains can change rapidly, even in Mallorca. It is important to be well prepared for sun, cold winds and rain. If you are walking in the mountains of Mallorca without a guide it is important that you know how to navigate in low/no visibility. You will need lots of water, wind + waterproof clothing, good quality walking shoes or boots (the terrain is very rocky….twisted ankles are common on the rough tracks) navigation equipment (compass or gps) and know how to use it. If you are using a gps you must also carry a compass in case your battery runs flat, a very common occurrence. 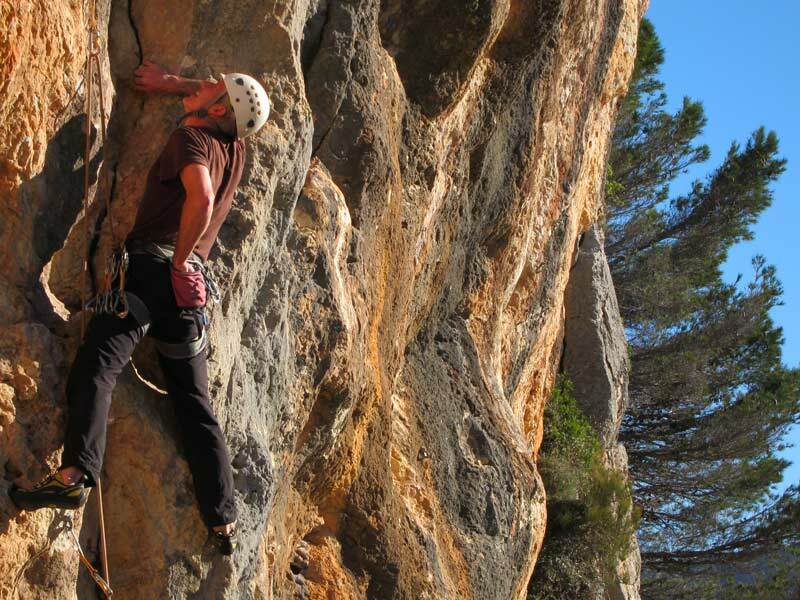 This walk above Valldemossa and Deia is one of the most popular stages of the GR221 and mallorca’s dry stone route. It is without a doubt one of the most stunning walks on the island. The walkway follows the summit ridge with spectacular views down to the sea. 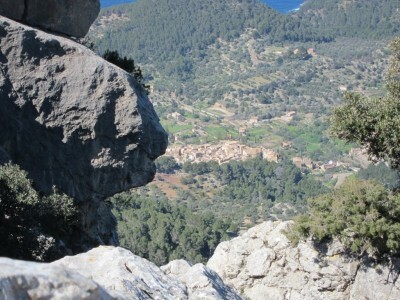 We start our walk in the centre of Valldemossa, and soon head uphill through the woods along stony old mule tracks. We continue steeply uphill for some time with an occasional breather, and fabulous look-out points with sweeping views of Palma in the distance and the coast beyond Valldemossa. 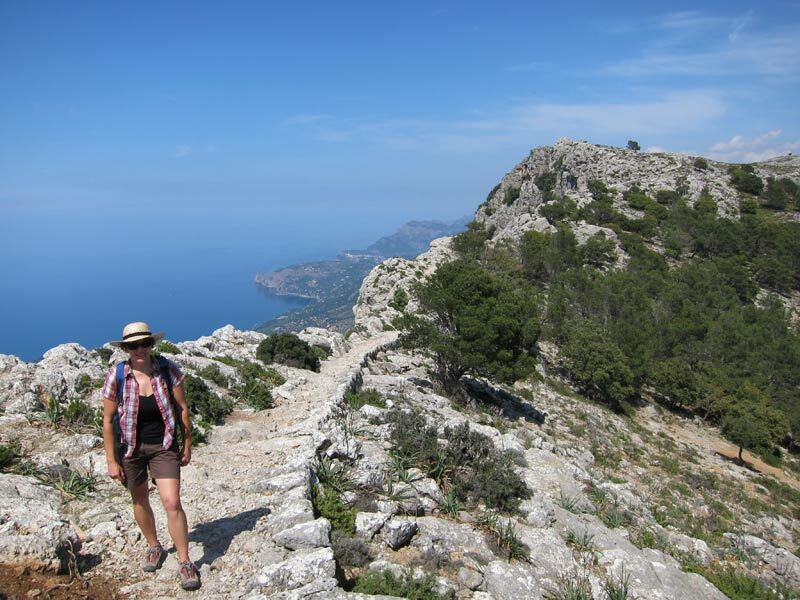 Once on the summit ridge the Archduke’s walkway gives stunning panoramic views of the coast and surrounding Tramuntana mountains. 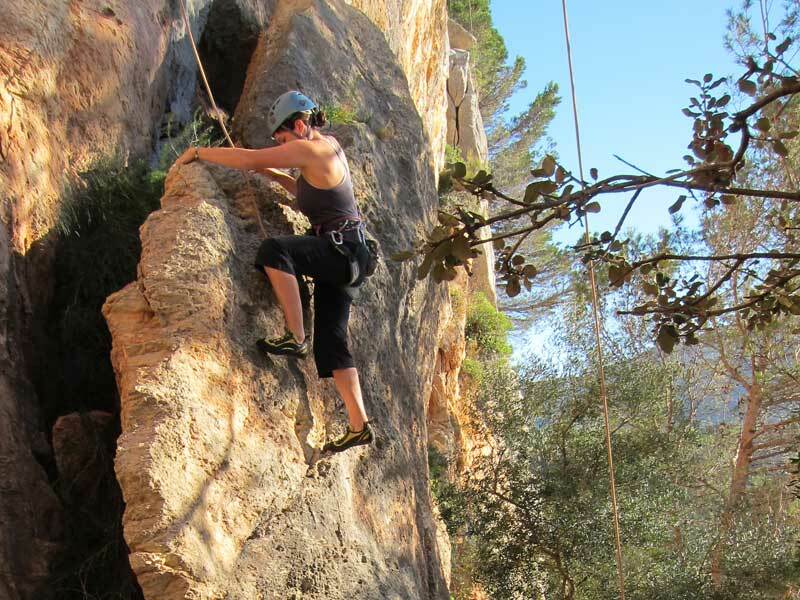 Along the way there are many examples of the old forest dwellers’ settlements and old lime kilns along the way, so this walk is a great opportunity to learn about Mallorca’s rural history. 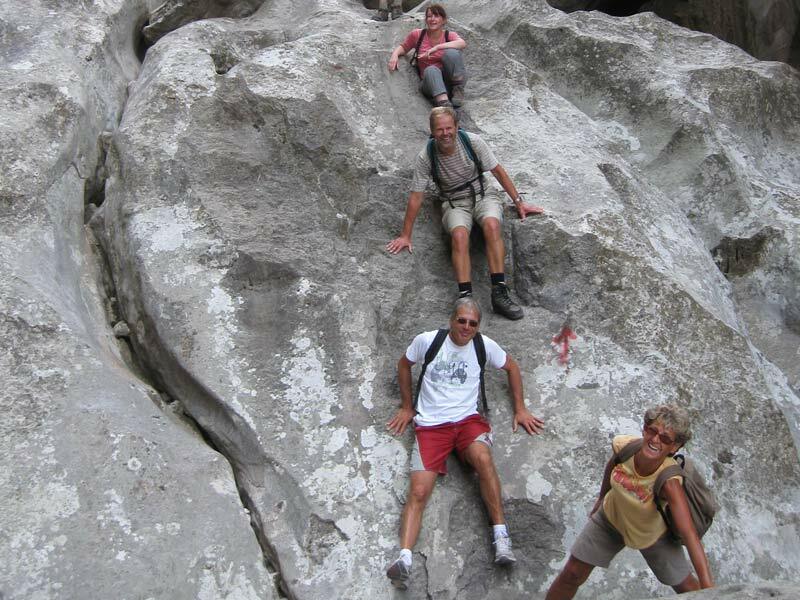 Rock and Ride can arrange guided walking tours of the Archduke walkway for groups and individuals. Please get in touch with us to find out more about guided walking tours in Mallorca.